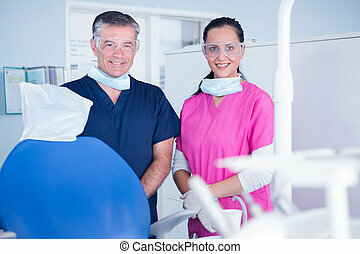 Dentist and assistant. 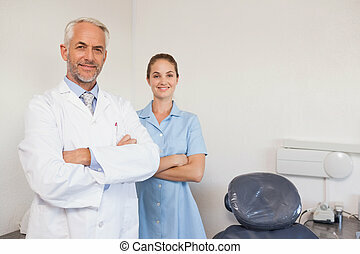 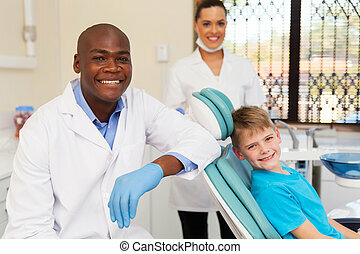 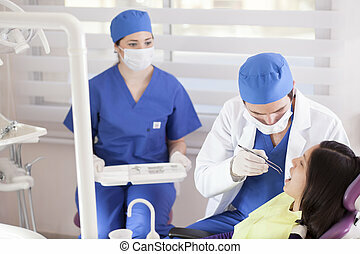 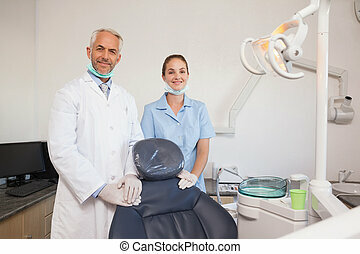 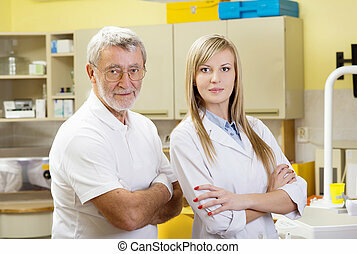 A male dentist and his assistant in their rooms. 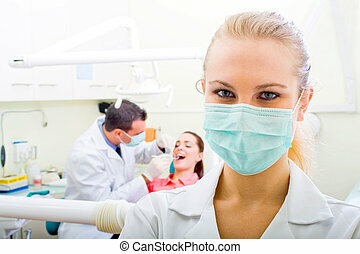 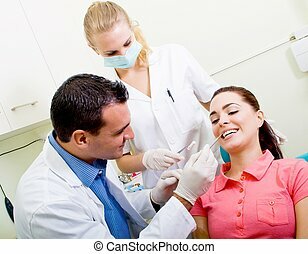 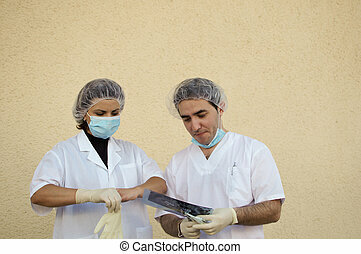 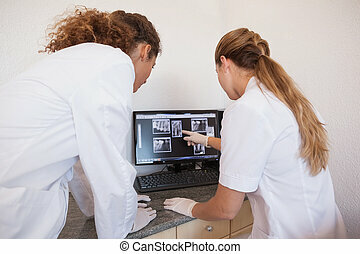 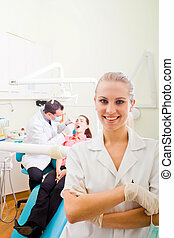 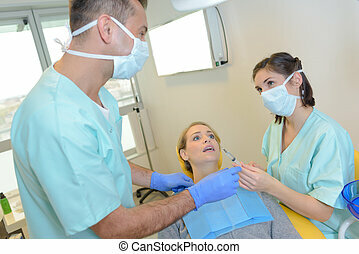 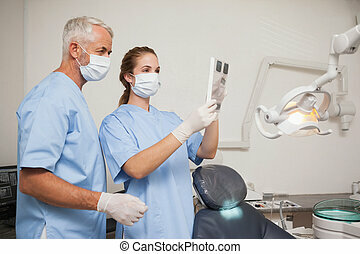 The dentist and assistant wear gloves, dentist keeps a x-ray. 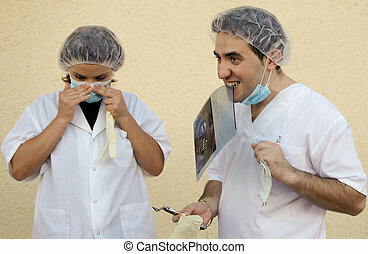 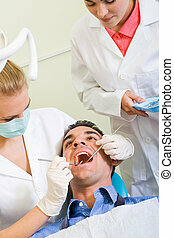 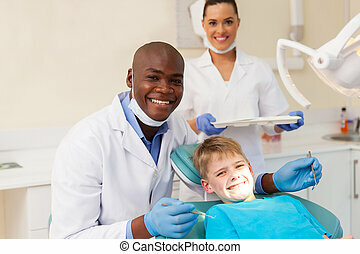 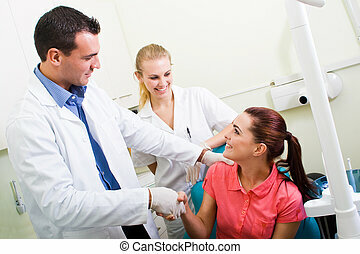 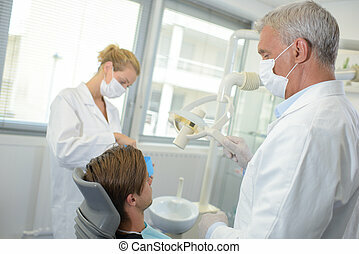 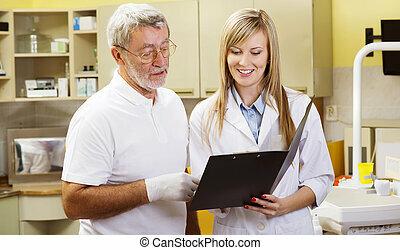 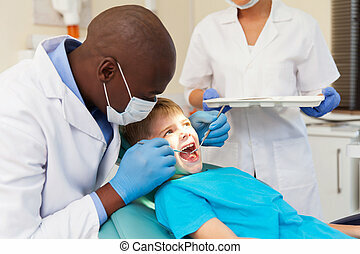 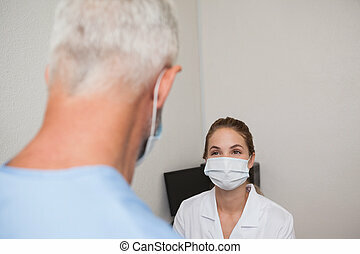 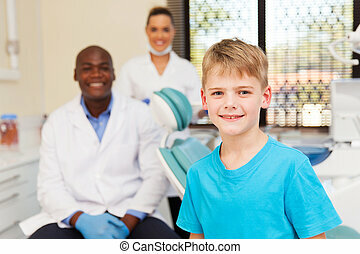 The dentist and assistant wear gloves, dentist keeps his teeth a x-ray.